Rub elbows with 50-100 of your fellow Cape Codders at After Hours Connect -- a monthly networking event with appetizers, cash bar, and raffle prizes. 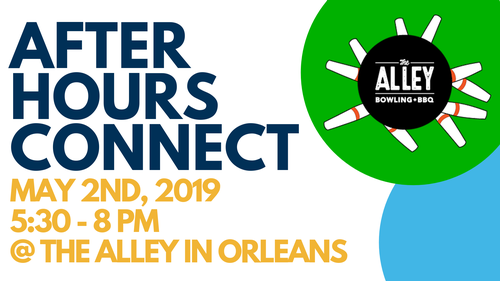 Our May After Hours is hosted by The Alley Bowling + BBQ in Orleans. All are welcome!